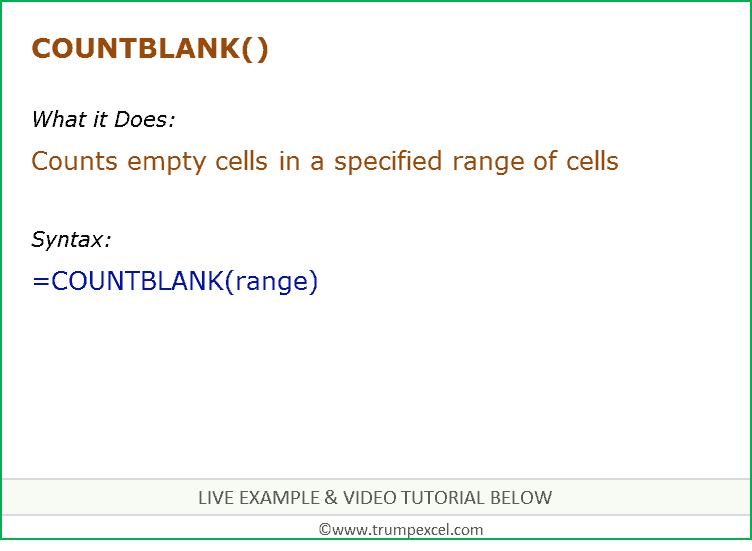 COUNTBALNK function can be used when you have to count all the empty cells in a range. It returns a number that represents the number of cells that are empty. range – it is the range in which you want to count the blank cells. Cells with formulas that return “” (empty text) are considered blank and are counted. Cells that contain, text, numbers, errors, etc. are not counted. Count Unique Values in Excel Using COUNTIF Function.